What seasonal produce should you be eating this May? 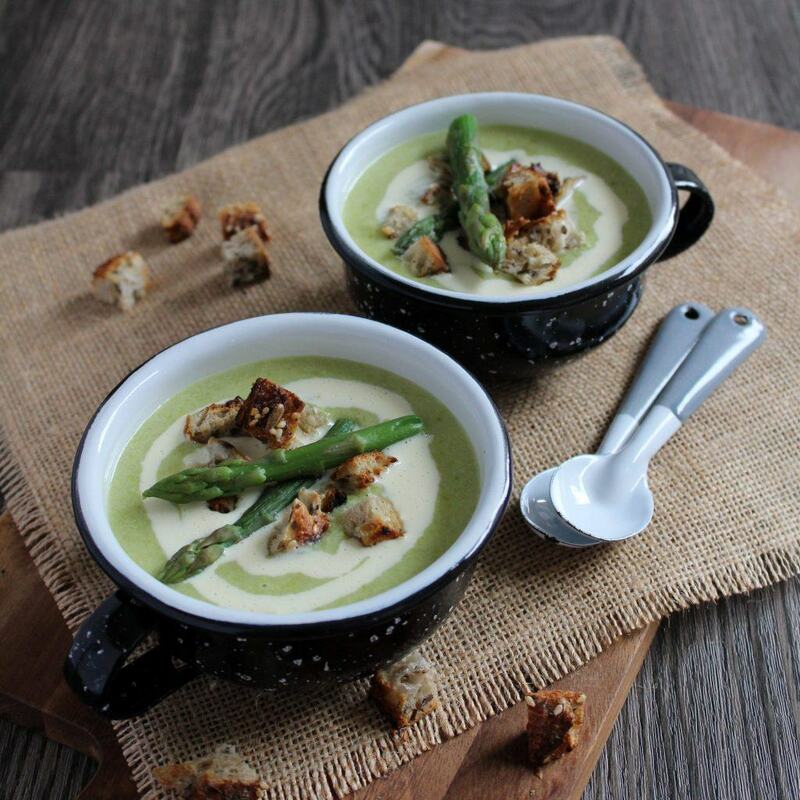 For us, May means Asparagus; our favourite spring green! The British asparagus packed full of goodness and is rich in vitamin C, which boosts your immune system so not only are you getting a delicious vegetable but a healthy one too. 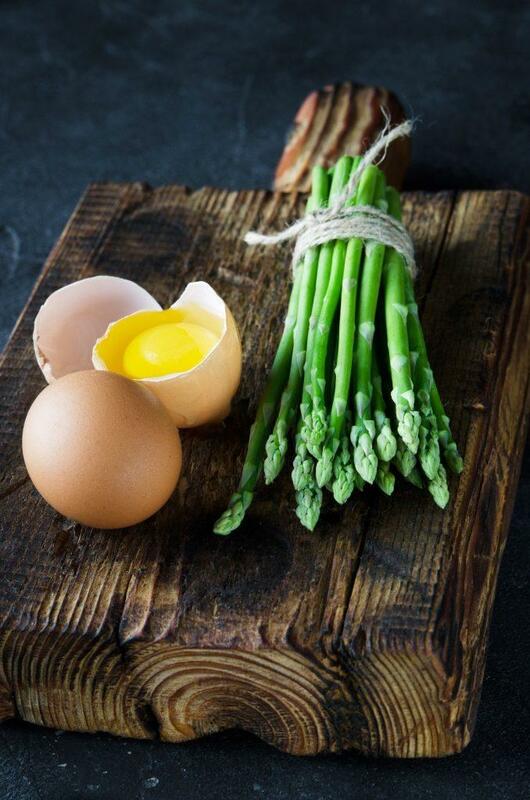 Although asparagus can easily be found supermarket shelves, we always think it’s worth hunting out those fresh green spears from a local farmers market or even your own garden or allotment. Look for firm but tender stalks with good colour and closed tips. Contrary to popular opinion the more delicate and thinner stalks are not necessarily more tender; in fact thicker specimens are often better due to the smaller ratio of skin to flesh. Once picked, asparagus rapidly lose their flavour and tenderness, so it really is worth eating them on the day you buy or even pick them. If that isn’t possible, you can get away with storing them for a few in the fridge with a damp paper towel wrapped around the bottom of the stalks. Wash in cold water and remove the bottom ends of the stalks (with fresh asparagus they will naturally snap off cleanly at the right point). Boil or steam quickly until just tender, around 4 to 7 minutes depending on thickness. Here is a collection on our favourite recipes, using this hero vegetable. This is the perfect addition to any spring BBQ or just a delicious snack. Make sure you pre-heat your Bbq before your start! To make the mayonnaise, place the egg yolks, mustard and lemon juice in a food processor and whizz on a high setting. Turn the machine down to a low setting and slowly add the rapeseed oil. Adding this at a slow and steady pace will ensure the mixture does not split. Once all the rapeseed oil has been added, turn off the food processor and pour the contents into a small bowl. Add salt and pepper to taste and transfer to the fridge until needed. 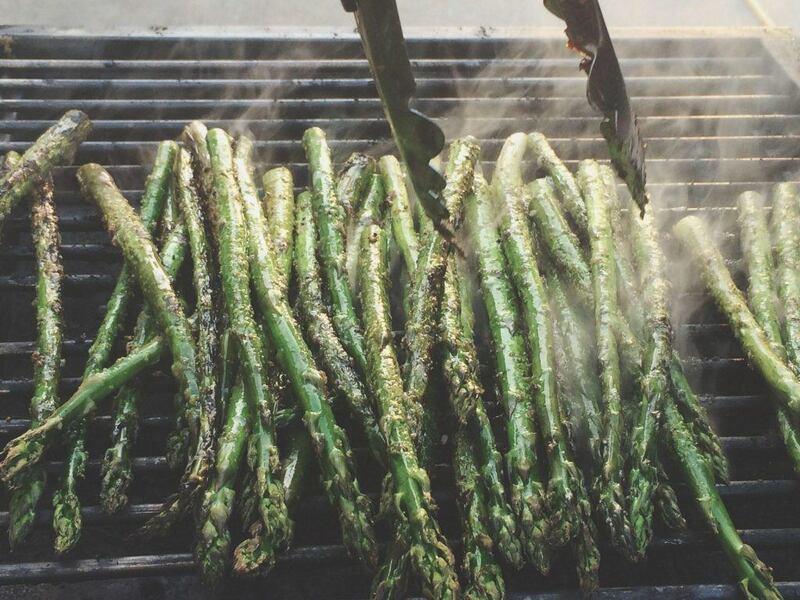 Once your barbecue is ready, place the asparagus onto the grill, turning occasionally until well coloured but not black – the asparagus should still have a crunch to them. Serve on a platter with a bowl of the rapeseed mayonnaise – delicious. Serve with plenty of toasted sourdough bread. Combine the mustard, rapeseed oil, honey and vinegar and whisk together well to create the vinaigrette and put aside to later. Bring two large pans of water to the boil. Heavily season one of them with salt and add two tbsp of vinegar to the other. For the poached eggs, crack the eggs into 4 individual cups and, using a whisk, stir the vinegar water vigorously to create a whirlpool. Working quickly, gently place the eggs one by one into the centre of the whirlpool and allow the water to simmer. Poach the eggs for approximately three minutes until still runny inside. Lift from the water with a slotted spoon on to kitchen roll and keep warm. On four warm serving plates divide the asparagus spears and place a slice of ham over them. Top with a warm egg and drizzle with the vinaigrette. Season the top of the eggs with salt and pepper. Sweat the onion in the butter on a low heat until soft but not coloured. Finely chop the asparagus and add to the onions and lightly sauté. Add the vegetable stock and bring to the boil. Once boiled, reduce to a simmer for 30 to 40 minutes or until the asparagus are tender and soft. Remove the soup from the heat and blend in a food processor until smooth. Pass through a coarse sieve and return to the sauce pan. Bring the mixture gently back up to a low boil, add the double cream, seasoning and squeeze of lemon if required. Serve at once with croutons made from fresh crusty bread.